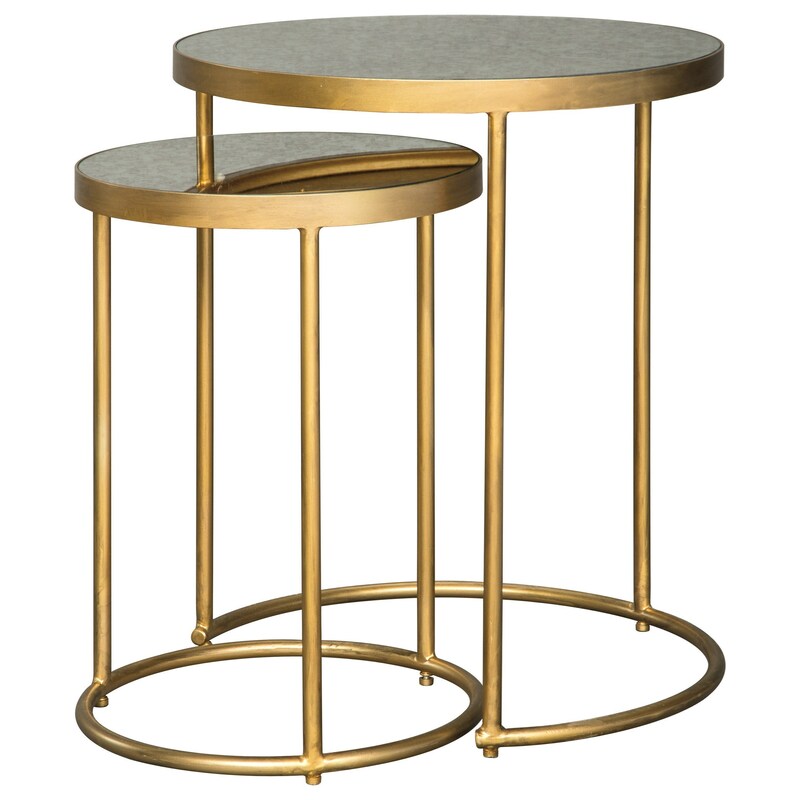 This stunning pair of nesting accent tables will spice up the look of any room. 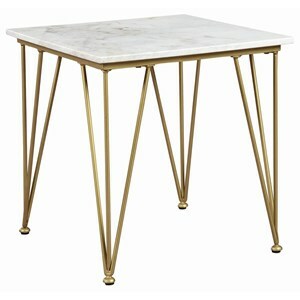 With their antique gold finishes and mirrored tabletops, these pieces have a glamorous flair that will bring out the Hollywood in you. The smaller table fits conveniently underneath the larger one, allowing for quick and easy storage when both tables are not in use. 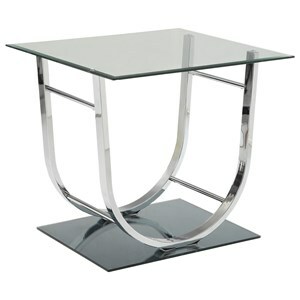 Small Table Dimension: 14" x 14" x 20"
The Majaci Set of 2 Nesting Accent Tables by Signature Design by Ashley at Value City Furniture in the New Jersey, NJ, Staten Island, Hoboken area. Product availability may vary. Contact us for the most current availability on this product.